Unfortunately, you can’t. MSN Explorer, and the MSN Internet Access software in general always had the requirement of having a subscription to MSN Internet Access, and while the MSN Explorer software that came with XP allowed you to use it without a subscription, that was an exception, as Microsoft wanted to get as many people connected to the Internet with their set of services on the then-new OS as quickly as possible. 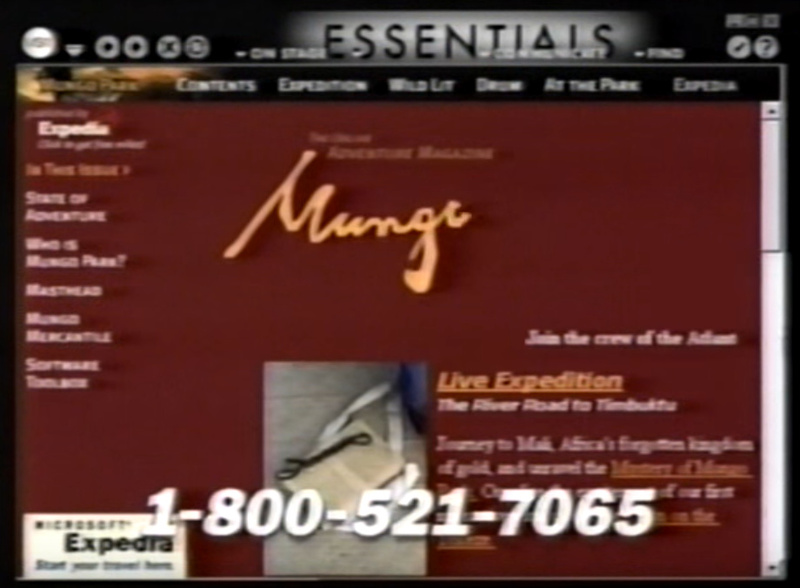 All other MSN Explorer releases were still subscription-only. 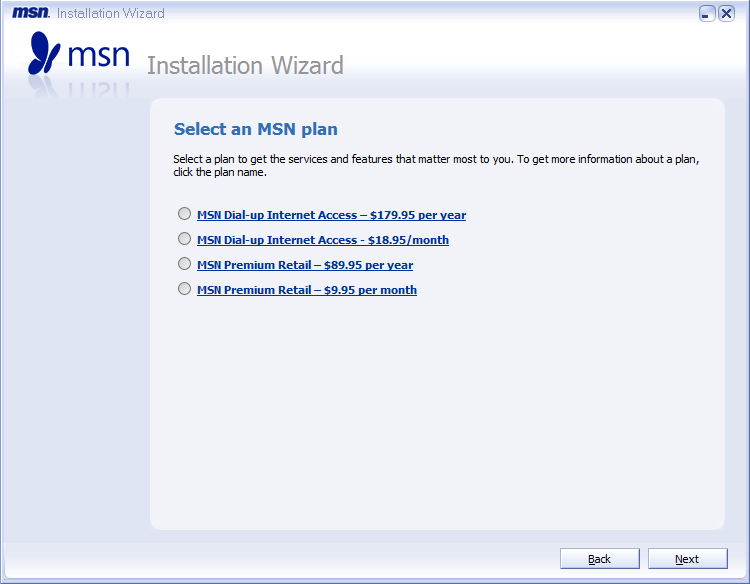 If you really want to use MSN Explorer so badly, your best option is to just get a subscription (Dial-up or Premium, the latter being an add-on to your broadband connection that allows you to use MSN Explorer) and use the account you get with your subscription for MSN Explorer. 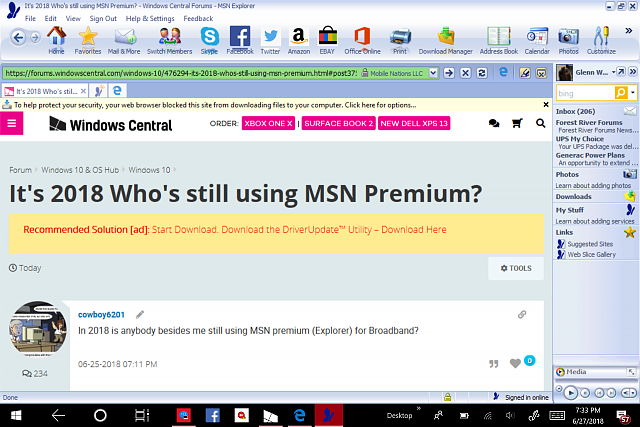 And… Can i use windows xp’s msn explorer on windows 7 (if it don’t need subscription) or… is there a crack? 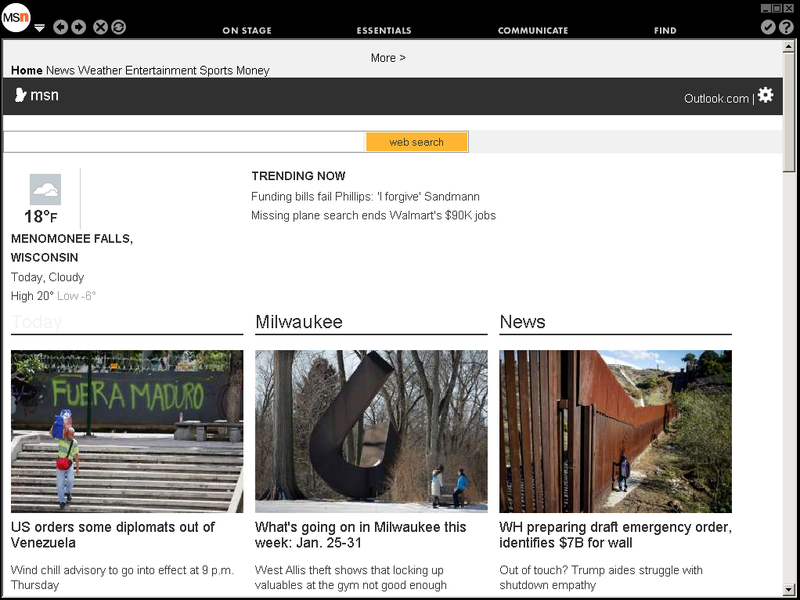 It’s funny how it still has the old look yet it has the modern MSN logo. I should’ve brought up that that specific MSN Explorer release, along with other older versions of MSN Explorer, don’t work anymore due to a “security upgrade” Microsoft pushed onto the authentication system, but I assume that XP-only release stopped working after a while when the marketing scheme died down. MSN Explorer doesn’t look like that anymore (or at all; haven’t used the super old versions). Also, following the footsteps of Azeem, eh? Too bad it’s not working, like with him. After doing some somewhat hard research, this is the closest I could find to your image. Yeah I can confirm that yours is pretty much a troll. However, what’s different is that from a more close-up screenshot, the N in MSN looks thinner than in your image. Also, the arrows next to each column are missing entirely in your image, and the header is a little shorter. I think this is more concrete evidence that your image is fake. Gives me flashbacks of that other msn explorer thread that got hidden. From what i know. MSN Explorer’s browser is just Internet Explorer itself with a different shell. I think the only change from old versions to the current version is the removal of some Messenger related stuff and the branding change. Oddly the small wordmark is still the old one and not the Segoe (Not Segoe UI) one. I do have the installer and a repair tool. I think i was able to get the repair tool to install by extracting the installer exe and extracting again some exes. XP’s MSN explorer seems to have been removed in most SP3 releases (Most likely the IE8 releases and the somewhat rare IE7 releases if they ever existed). Although i’ve heard some people having SP3 and the MSN Explorer. Although that might be a earlier release or it’s just a SP3 version with IE6 and Windows Messenger included. bypass the “Microsoft account” connect prompt and replace it with something else. Replace all MSN branding with something else. Also here’s a screenshot of what MSN explorer looks now. I think this is more concrete evidence that your image is fake. Explain to me how you suddenly found it on there, because I don’t see it on my install. What a waste of VM space. At least I got to play passport.mid.